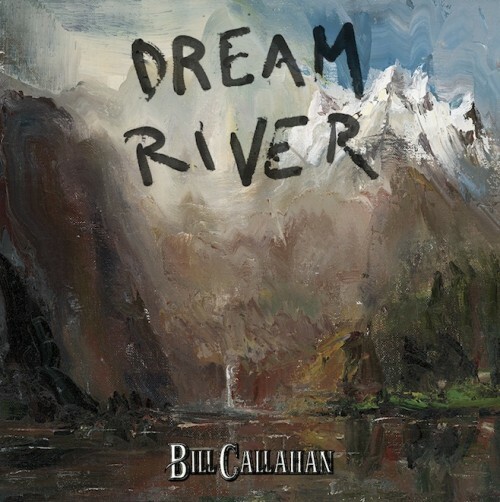 Dropping Dream River onto the turntable for the first time, I was struck immediately by just how completely and inescapably Bill Callahan-y it was. There’s that voice, of course: arresting, matter-of-fact, taciturn yet strangely warm, but there’s also the oh-so-Callahan-y lyrics (“Drinking while sleeping / Strangers unknowingly keep me company” and “The only words I’ve said today are ‘beer’ and ‘thank you’”) and the sound, like a breath of fresh mountain air, sparse yet warmed by the rootsy tones of the fiddle. 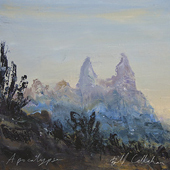 Apocalypse (2011) was a milestone for Callahan, a maturation into just a slightly different kind of artist, focused on simplicity, nature, and iconic American imagery. 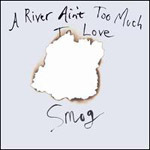 Dream River can be Bill Callahan-y because he has come to stand for something unique and carefully defined. 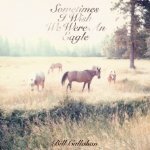 Like Callahan’s voice itself, which has evolved so impressively that old Smog records sound like someone else entirely, he’s honed his craft is such a dedicated way that he’s become his own category, his own adjective. Lived-in and lonely, Dream River exists inside the parameters defined by Apocalypse, but for now at least, that remains a tremendous space to explore. As its title implies, Dream River deals in dreamlike imagery and free association, dwelling in that area of confusion between waking and sleeping. Richard Linklater’s Waking Life comes to mind, when the Wiley Wiggins character is continually awakened by his alarm, yet can never be sure if each new morning is a waking reality. Callahan is not one to analyze, however; he drifts through this dreamlike state unwilling to dig too deep into metaphysical questions. He implies as much in the refrain from closer Winter Road, in perhaps the most memorable line on the record (besides, of course, “The Sing”’s “Beer…thank you”), “I have learned when things are beautiful / To just keep on / Just keep on.” It’s a mantra of sorts for this record, which doesn’t dwell anywhere for too long, never milking a chorus or clever line, just floating distractedly to the next, leaving traces in its wake that slowly disappear. But there is a staggering amount of beauty here, occasionally sinister, but usually just melancholy, of the same deep, soul-chilling variety heard on Apocalypse. Dream River, delivered in a sort of nebulous fog, keeps its distance more than its predecessor: where “Baby’s Breath” pierced the heart with painful questions (“How could I run without losing anything? / How could I run without becoming lean?”), in “Small Plane” Callahan drops the song’s central declaration (“I really am a lucky man”) flatly, repeating it as though working to understand its meaning. Similarly, “Spring,” an otherwise quiet meditation, kicks into a groove with the lines “All I want to do is make love to you / With a careless mind / With a careless, careless mind,” and finds Callahan repeating the word “careless” throughout the song’s remaining minute, emphasizing state of mind over action. The “you” here is nobody real, just like the other characters on the record. On Dream River, as in dreams, the “I,” the “me,” is everyone. Though there might seem to be others present, they’re only in your mind, projections of people only as you understand them. There are other songs on Dream River, sure; but perhaps this record’s greatest success is the way it renders track changes insignificant and causes our thoughts to wander, hung up on a phrase or melody, before coming to and wondering what we missed. An exceedingly quiet and spare record, Dream River may be harder to warm to, but it ultimately contains more multitudes than Apocalypse. It’s subtly more adventurous, and certainly scarier, in the way that even mundane things are always scarier in dreams, filtered through a disordered mind, revealing painful truths in unexpected places.